Due to the many differences between the North and South, they were divided as to what the West would look like. Many of the defining characteristics of North and South divided the nation. 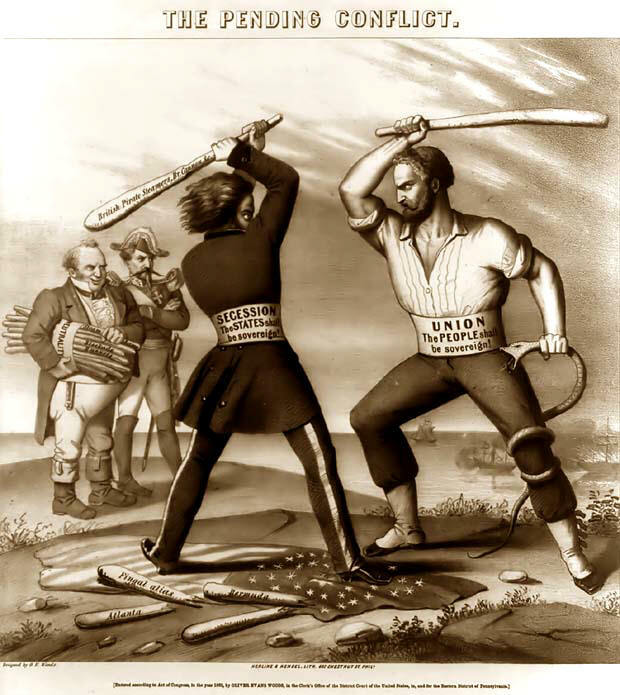 Compromise was the only solution to keep the Union together. Throughout this unit we will look at the Compromises that in many ways exacerbated the tension and the conflicts that ultimately led the North and South into one of the bloodiest wars in history. The North – primarily industrial in nature. Business and industry played major roles. Supported tariffs because it didn’t want people importing cheap goods from other countries. Life was faster, people tended to live in cities and be more educated, and commerce was important. Many in the north viewed slavery with suspicion and some with outright hatred. The South – primarily agricultural. The southern economy was primarily based upon the existence of large family farms known as plantations. The plantation economy relied on cheap labor in the form of slaves to produce tobacco and then cotton. The plantation lifestyle produced a slower more leisurely lifestyle. Farmers on the plantation did not do the work themselves. They were referred to as the “gentleman farmer.” People tended to live in a more rural environment, were less educated, and felt that slavery was an acceptable system.